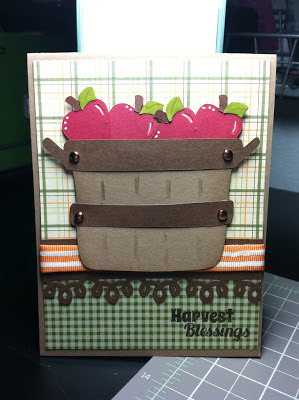 For my card today, I used and oldie but goodie "Doodlecharms" and the sentiment is from Pick of the Patch! Hope you enjoyed it! Don't forget to check out the other design team members projects for the release! We are finally Home Sweet Home :) As much as we enjoyed our trip and seeing all of our family and friends...we missed being in our home. 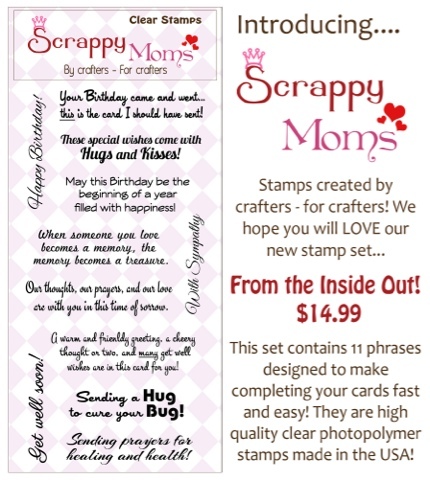 Anyways, now that I'm finally home I can show you my cards that I have created for the Scrappy Mom's Sneak Peak!! The card that I made is inspired by Amy R. If you are not familiar with her, you should absolutely check out her cards as they are fantastic! She recently made a video explaining how she picks our her pattern paper, which is always a struggle for me. I always feel like I don't have enough or too much. You can find the video by clicking HERE. I heat embossed the Happy Birthday from the stamp set From the Inside Out. Hope that you guys enjoy! Be sure to checkout the other fabulous projected created by the design team! Happy Friday! I hope that you have all had a good week. We are current on our way back to the Sunshine state from our 2 week road trip. And lucky for me I acquired a cold while in Canada :( oh well, it was worth it. Pick of the Patch is just perfect for the fall season and From the Inside Out will help you add the perfect wording to the inside of your card! I foolishly forgot to take a photo of my projects before leaving for my trip so it will be a couple days before I can share them with you. But be sure to check out the other Scrappy Mom designers for adorable projects using these stamps! Simply click on their name from the right sidebar. I hope that your having a fabulous week! The hubby, baby, cat, dog, and myself have arrived to Jersey to begin our vacation. Let the 2 week adventure begin!! Today is another fabulous Scrappy Mom's Terrific Tuesday Challenge. 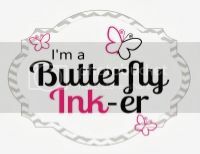 For today's challenge we have to use our favorite Cricut Cartridge. One of my absolute favorites that I go to often is the Sweethearts Cartridge. Its just perfect for wedding, engagement, anniversary, etc. So, I thought I'd use it to make a wedding card for my best friend who is getting married in NYC this weekend! To make it a bit more fitting for a wedding, I decided to add tulle to it and think it added the perfect touch! I used the sentiment "Love is in the Air" from the Scrappy Mom's Stamp Love Notes. Hope you guys enjoyed the card! 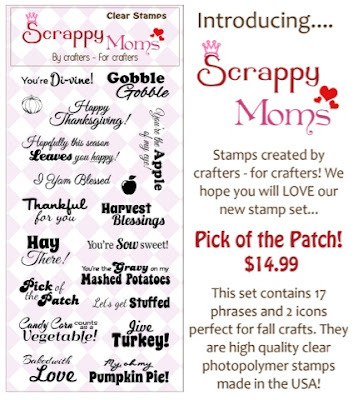 Be sure to check out the Scrappy Mom's Blog to see the other amazing projects by the Scrappy Mom's design team!